Enough about Levi's...let's appreciate the Lee repros (while they last). Link to jubei's great post on vintage Lee details, and lildavid's link to a Lee info page. and Warehouse has done some good work aswell. 45rpm has a model wich might not count as a repro but surely is inspired. This from the top of my head, am in a hurry! I'm curious to see if some of the more unknown brands (atleast on here) are doing these aswell. Blue & Gray BG062...is this another lee/wrangler combo? The Lee Riders for kids actually had that leather patch on the left pocket. Only thing that differs with the B&G version is it had the cloth tag on the inside of the waistband. Interesting. They would have just had the one leather patch though, right? they had the one on the waistband too. the backpocket stitching was also horizontal like that and huge bartacks. that's almost a 100% replica. Very cool. 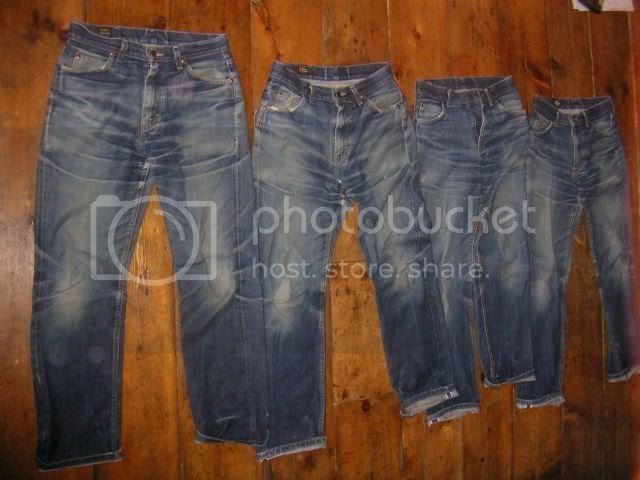 Not everyday you come across a reproduced pair of kid's jeans. ^^ I love that pic Paul. ^ I was looking for a link to those. 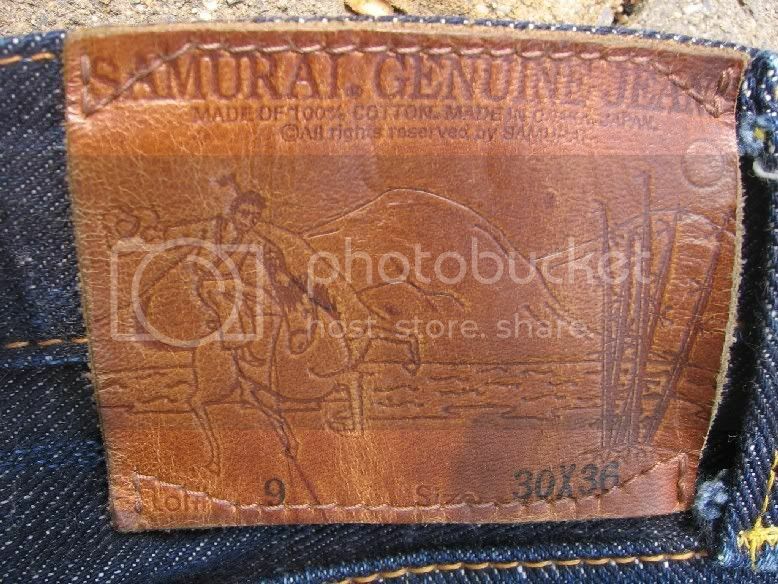 what are the most slim fitting japanese lee repros? probably the war era models, but even those seem like they aren't necessarily a slim fit by sufu standards, or am i mistaken? the euro gold label 101z's look slim but i'm more partial to japanese made ones. or do i need to be looking at other brands like the Samurai Jin, etc? i already know the Sugarcanes dont fit how i want though. maybe i just need to go to Taipei and find a cheap pair of modern slim fitting Lee's... i love Lee's marketing in Chinese-speaking countries. The Jin's are probably the slimmest lee-inspired jean you'll find. This thread is awesome. gotta show some leepro love. I never understood why they put darts on the dry bones model... buckleback mdoesl are usually looser straight leg fits, so why bother slimming it? Their jeans have nice details...crap cuts. 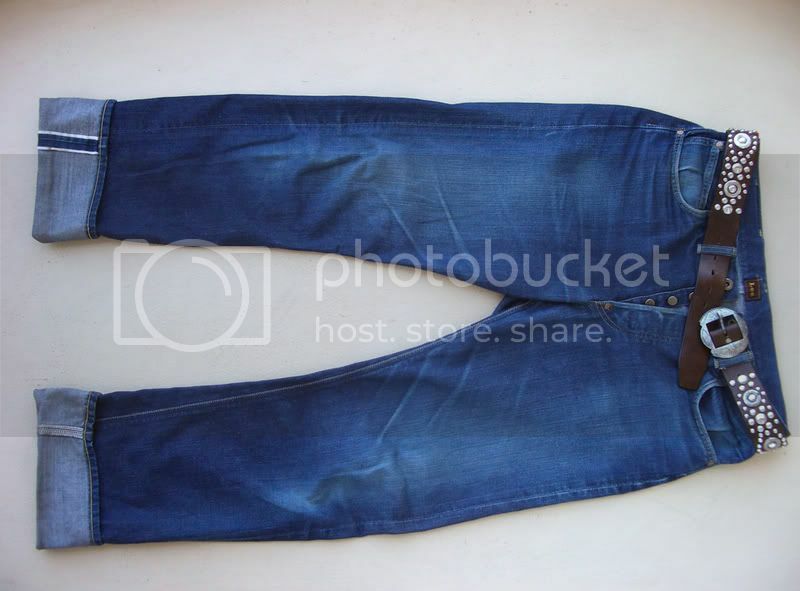 doesn't the umii908 line from 45rpm have lee-inspired details on their jeans? at least in the backpocket shape, i don't recall there being lee bartacks or any other touches. next I'm getting the WWII model from 1942. YEAH! damn, so true vintage. we had a buddy lee doll on loan at denim bar and it was so cool.